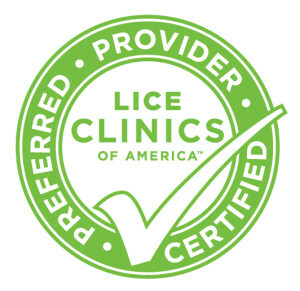 There are some lucky people out there who find Lice Clinics of America the first time they have lice. I know reading that you think, "Who is lucky that has lice?" True - lice is never fun but at the same time it doesn't have to be the worst thing ever and disrupt your life for weeks or months. For the people we see in the clinic that have had lice before, they have tried the over the counter methods, the old wives tales, and every kind of service out there. Eventually the combing and oil and washing non stop drives them to find a different way - a better way. A way that helps them return to their regularly scheduled life quicker. As I've said before almost every method will work if you put in the time - my caveat on that is PLEASE DON'T put gasoline on your child's head, or yours for that matter. That is never going to work and it is just plain dangerous. You may giggle at that but you would be surprised at how many people do that. 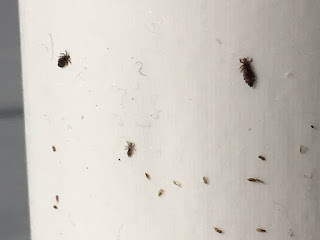 If this is your first time getting lice or you or your child seems to be the life of the lice party know what you are looking for or ask questions of the person helping you. You are paying them and they should be happy to answer any and all questions you may have. I'm saying this because we have seen too many people who were taken advantage of when it came to lice. Companies who won't tell you what they are going to do to remove the lice and nits from your hair until they get to your home. This is to force you into using them because most people are so stressed out they aren't going to send someone away at that point. And then they don't find out until they are finished that for this to work they need to sleep in oil every night for weeks and comb every morning. Who honestly has time for that? Others who do have the guts to say no we don't want to do that and send them away, research alternatives and come to us - only to find out there isn't a louse or nit anywhere to be found. So what was that person about to charge them to do? I've showed people a nit comb filled with nits to have them say, "No when my child was combed out it didn't look anything like that at all. It was some white flakes but they got it all." They may have gotten it all but it wasn't lice they were getting. Or when they pull their comb out of the baggie and say, "See here these dark spots. Those are the eggs I got. This is what the professional showed me" and I have them put the loop over those spots to have them realize those spots are nothing, just the comb. 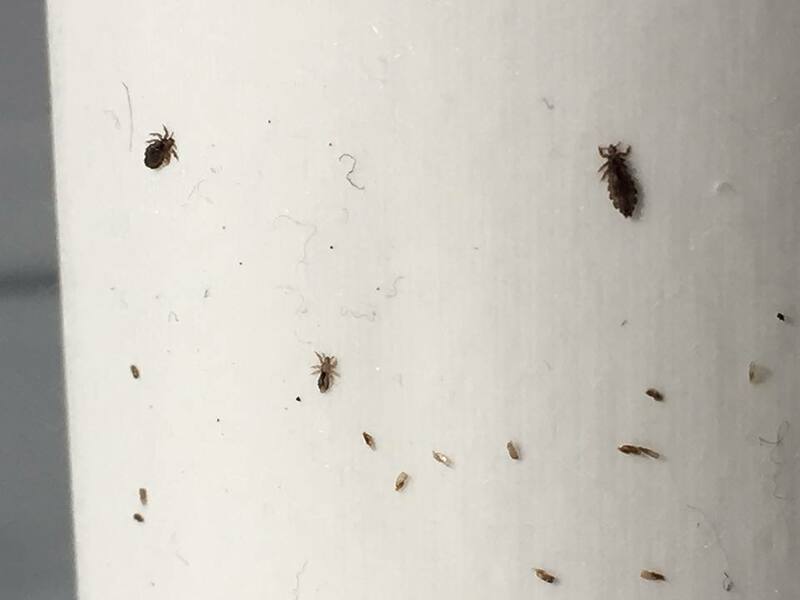 So whatever method you use for lice removal ask lots of questions. Ask to see what they are finding in the hair - and use something to zoom in on it, even if it is the camera on your phone. Know what bugs and eggs look like so someone can't take advantage. Lice is traumatizing enough without treating when you don't really have it!! 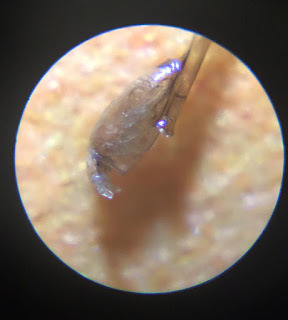 This is a nymph hatching from the nit under the microscope. I've actually shown people bugs I keep in a bag so they can see it and again recently we've had someone who has been self treating say, "No that isn't what I've seen, what are those." So if you have any questions or need our help please feel free to call or text: 240-766-5423 or contact us through the "book now" link at the top of the page. We are here to help. We want your lice infestation to end now and be worry free! !